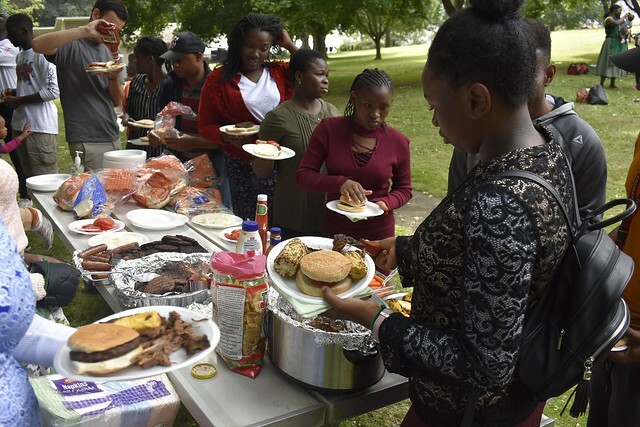 The Apostolic Faith Church in Pullman, Washington, held a picnic at the park on Saturday, August 25, to welcome students back to Washington State University, and to reach out to new students. Several of the fifty-five participants had never attended a service at the church. The picnic included a devotional titled “A Proper Connection” taken from the Apostolic Faith Church website. The attendees learned the value of connecting with God by seeking Him first. Various games included a treasure hunt at different places in the park. Many who attended the picnic came for the Sunday morning service on August 26, with over sixty people in attendance. Lee Spakousky preached a beautiful message, and many were blessed during the altar service that followed. Please continue to pray for Olusola Adesope, the pastor in Pullman, and the congregation as they reach out to their community and students from the university.